The competitive figure skating season may be over, but for some U.S. skaters, there has been little time to relax. That’s because they are on the road as cast members of the “Stars on Ice” tour. The staff members of Figure Skaters Online had the opportunity to see a show or two near their respective hometowns. We all enjoyed the show! The U.S. tour kicked off in Fort Lauderdale, Florida in April and will wrap up in Seattle, Washington on May 18. The tour stars 2014 Olympic gold medalists Meryl Davis and Charlie White, who are managing to appear in all the shows despite competing on ABC’s “Dancing With The Stars.” The show also stars Olympic team bronze medalists Jeremy Abbott, Gracie Gold and Ashley Wagner. 2011 U.S. Champion Ryan Bradley, two-time U.S. Champion Alissa Czisny, 2010 Olympian and 2014 U.S. Bronze medalist Mirai Nagasu, World Junior Champion Josh Farris and two-time U.S. bronze medalists Kimberly Navarro and Brent Bommentre are also apart of the cast. 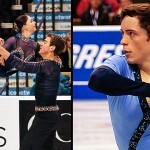 Appearing in select shows are Olympic team bronze medalists Jason Brown and Marissa Castelli and Simon Shnapir, 2013 U.S. Champion Max Aaron and 2014 Olympian and U.S. Silver Medalist Polina Edmunds. 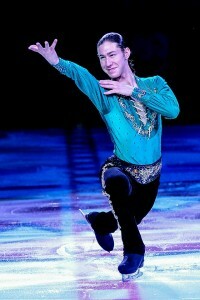 The show allows the skaters to have some fun and perform for their fans. There are, of course, no judges. Some of the skaters are even debuting new show numbers, including Gracie Gold, who is skating to the popular song, “Let It Go” from Disney’s “Frozen”. The men of the cast also joined forces for an entertaining number to Fitz and the Tantrums, “The Walker”. After a 20 minute intermission, the ladies return with what many are calling an interesting, yet creepy ballet number to “Creep” by Scala and Kolacny Brothers. After each show, before heading to the next city, the cast meets with about 100 fans for a meet and greet session. It is a great opportunity for the fans to meet their favorite skaters. The Meet and Greet sessions require passes, which can be purchased online through the Stars On Ice’s website. We don’t want to give away all the details, but if you are able to, check out the show. We don’t think you’ll be disappointed!